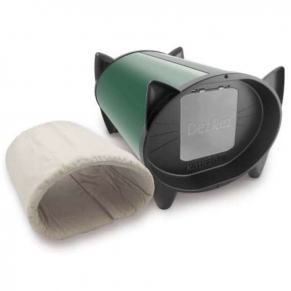 The KatKabin® DezRez, a luxurious outdoor cat house, gives your cat all the comfort and safety it is used to indoors, the KatKabin® DezRez is an ingenious and quite simply wonderful home from home for your fabulous feline. 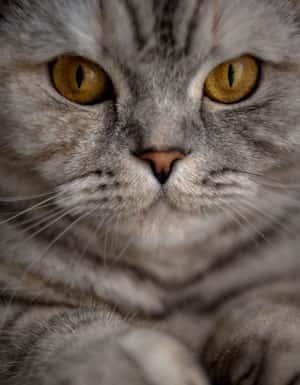 Standing above the ground, it provides a warm, cosy and shaded insulated outdoor cat shelter for napping, stretching and relaxing. 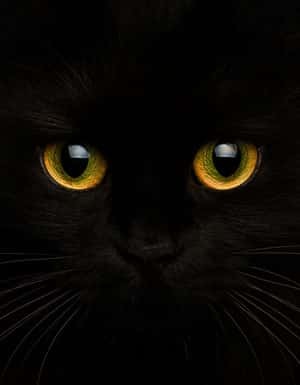 Your cat is protected from the weather and is safe and relaxed until you return in a sturdy and purpose-made home. The opening also has a conventional clip-on cat flap that can be attached or removed depending on the season or your cat's preference. The KatKabin® is available in a beautiful range of colours that can either blend in or stand out in your garden, outdoor area or home. Wherever you choose to put yours, this certainly is one cat house which will make a stunning design statement! Washable fleecy Winter Warmer supplied – lines the internal body of the KatKabin® to keep your cat warm and snug even in the coldest conditions. Optional waterproof, low energy EcoGlow Pet Warming Pad - provides much needed warmth in frigid conditions. Available separately - see our accessories selection. Comes complete with a washable KatKushion, a clip-on KatFlap door and a washable, fleecy Winter Warmer.